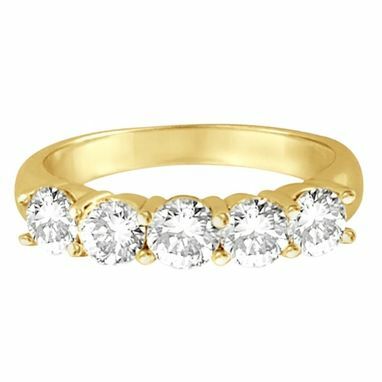 This elegant five stone ring features 5 large and very bright brilliant-cut round diamonds set in a beautiful shared prong setting. 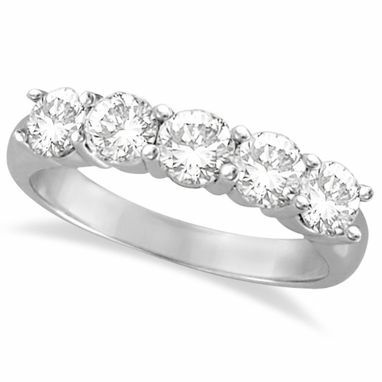 Also available in other carat weights. 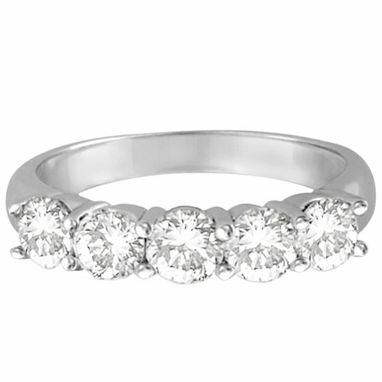 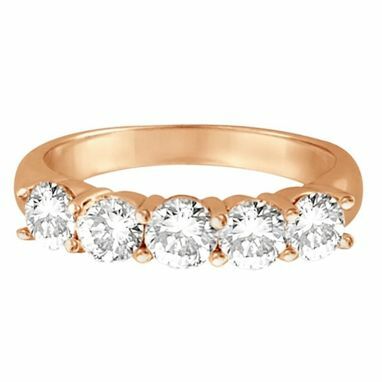 Wear it as an anniversary band, as a wedding ring, or as a right hand ring.